The reality is that despite our best intentions, most people (and organizations) can’t sustain the energy of a crisis environment. If the challenges go on for too long they start to become routine. People who stay with it either get burnt out, cynical, or disheartened; and for those not involved on a day-to-day basis, the crisis fades into the background. 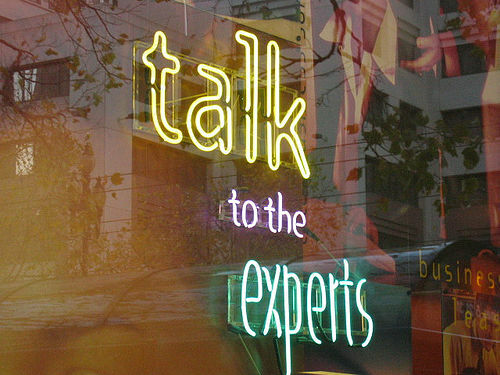 Organize a post-crisis learning clinic. Include the key people who were involved — from your team, other parts of your organization, and even outside parties. Take stock of what you learned: What was done differently? 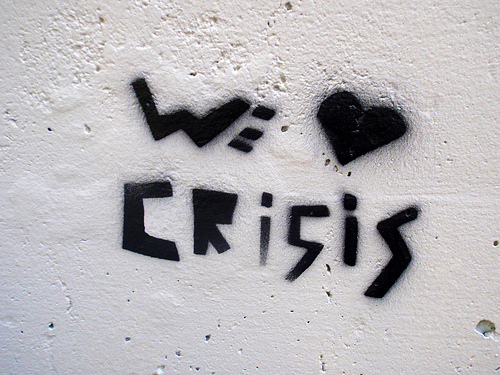 What new patterns or innovations were sparked by the crisis? And most importantly, what new ways of working — individually or collectively — should be continued? While I am all for de-briefing, learning from mistakes and constantly questioning assumptions and practices, I find the argument a bit contradictory. If, as Ashkenas claims, post crisis, energy levels go down, how organizing “a post-crisis learning clinic” is supposed to leverage the energy and spirit created by the crisis? I an interesting study, Harvard Professor Amy Edmondson or Harvard Business School, studied how medical teams in hospital adapted to a new system for conducting surgeries. One of the conclusions of this study, is that learning was much more effective in real-time than post-hoc. When the surgical team emerged themselves in a process of learning during the actual surgery, they were able to learn and improve for the next surgery more effectively than by doing a post-surgery learning clinic. Crisis is the hardest time to focus on learning, improving and thinking about the future. But it turns out this is the best time to do it. Like all issues of strategy, becoming a learning and improving organization is about prioritizing. The hardest time to engage in learning – during the crisis – is the most effective time. It means you, as a manager, need to make some tough choices. If you ask me, improving the learning capabilities of your team or organizations is, in the long-run, much more important than the current crisis. For a company to raise capital. For an investor to put his money in the hands of expert management that will ensure his investment grows by generating value. The whole legal concept of public companies and the stock markets is that this tool will allow the free agents to create more value for society. And in theory, this is a great idea. If I have the money but not the ability to manage a company, I hire other people to manage my company and find a bunch of other people like me. The managers, who are experts in creating value, manage our assets, and we can profit from the value generation, by enlarging the business on one hand and by taking dividends on the other hand. This in turn creates value for the society as a whole. But as always, there is a difference between theory and practice. The problem is that the structure of public companies and the stock market creates the wrong incentives. Instead of investors looking for expert managers to ensure their investment grows by creating more value, the investors (directly or indirectly using all kinds of funds) are searching to make profits out of the volatility of the markets. When you have 1,000$ (or less) invested in a company, you are not interested in the value generation or in drawing dividends, but in the impact on the value of the share, so you can sell it. This in turn puts pressure on the management to perform for the short run and to take steps and risks that a company without these incentives would not have taken. It creates a culture of a race after growth and of ignorance to the cash at hand. The short run outlook does not allow companies to sustain their profits over time and thus, does not create value for their investors and the society. I think that from society’s outlook, the current structure of the markets endangers the goal for which society has created these markets in the first place. What is interesting is that the bigger the market, the more diversified it is, the more people are in it, the worse this phenomenon gets. And our markets are getting bigger, because of the internet, globalization and capital in emerging markets. I think that stock markets have a diminishing marginal return and we have crossed the point where they become less effective the bigger they get. Perhaps the near future will lead to a surge in the number of private companies. From what I have seen in the last few months in the world and from the little I covered in my MBA, if I was the leader of a private company thinking to go public today, I would reconsider. Maybe try to raise money in different ways or from a small number of strategic investors, but avoid going public at any cost. That is the most responsible thing to do, as a manager and as responsible citizen of society.